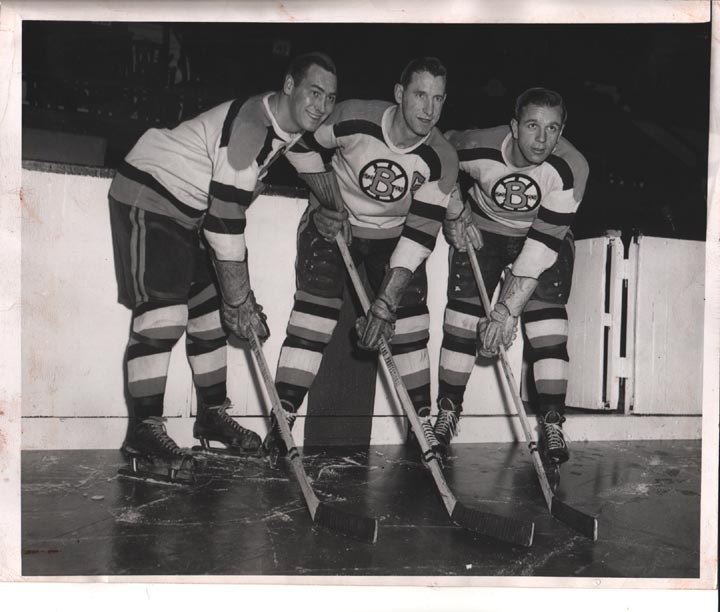 All four of these photos came from a photographer in the Boston area. 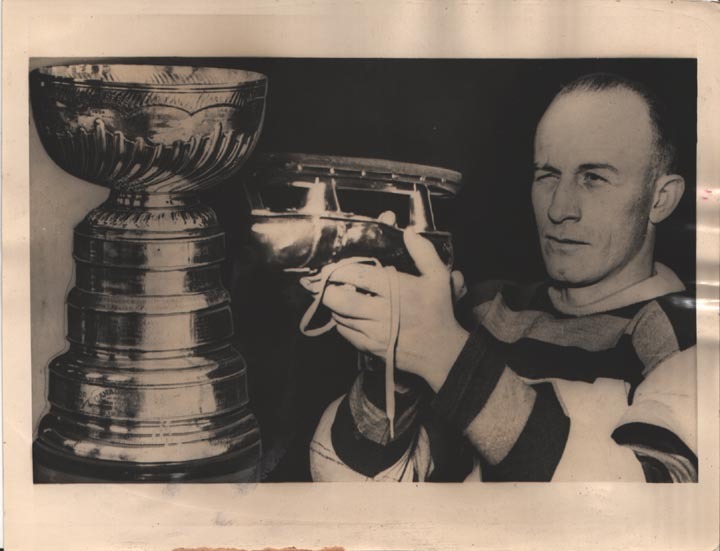 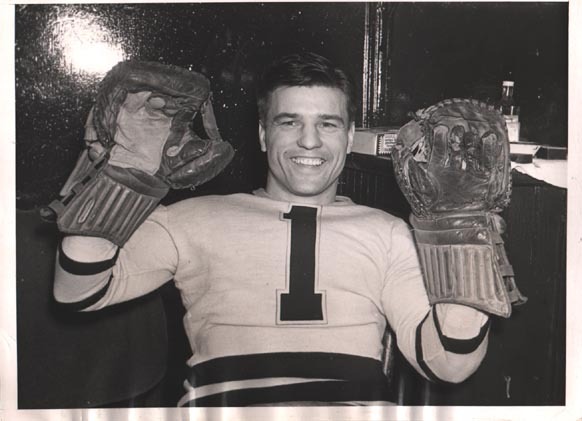 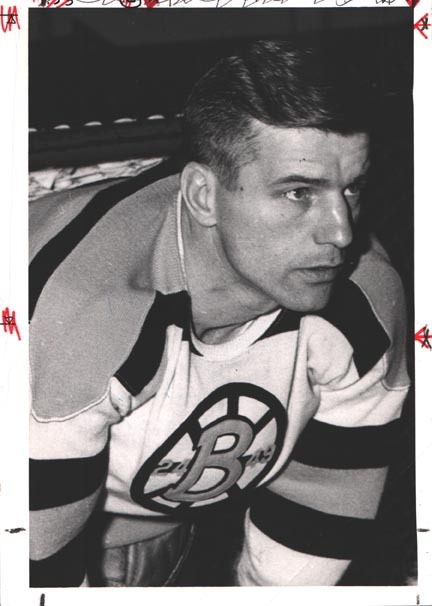 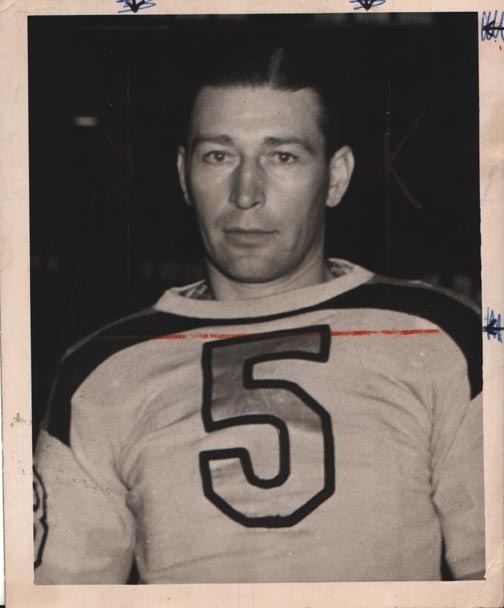 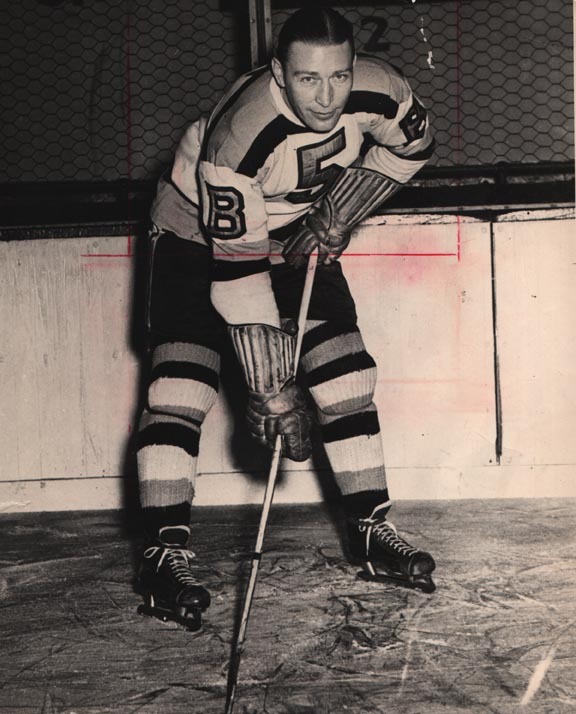 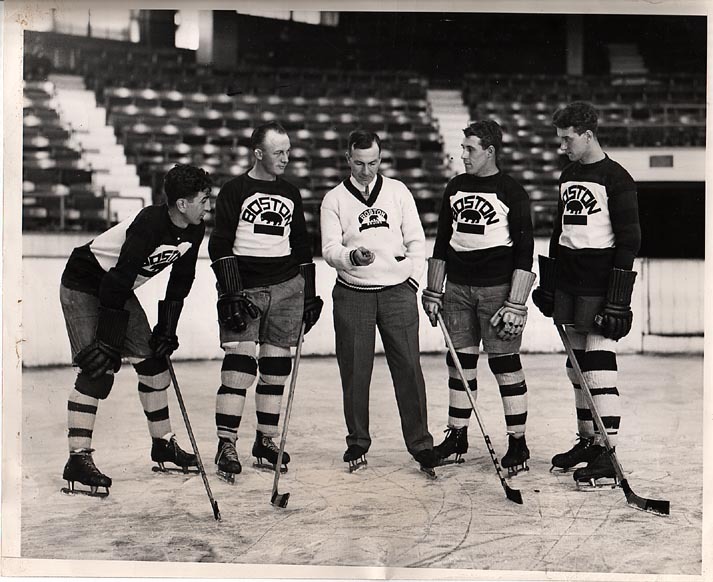 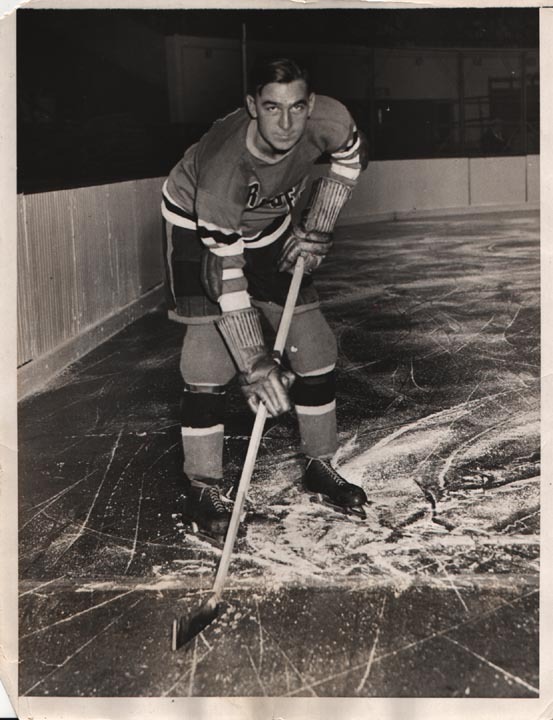 All four photos were used either in a Boston Bruins media guide, yearbook or program cover. 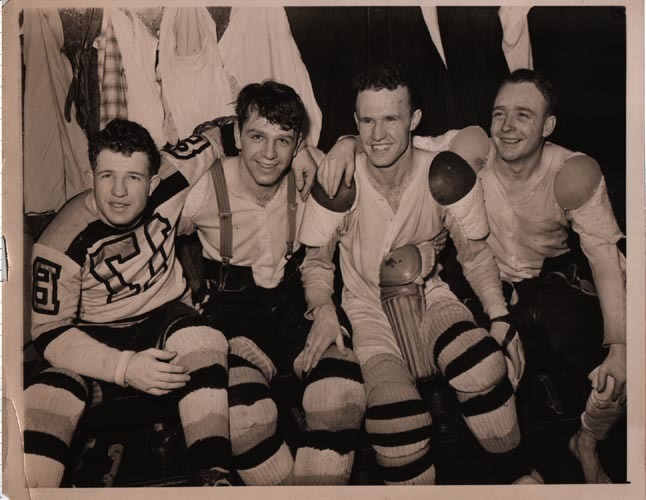 Far Left: Photo of a very young Dit Clapper and is probably from 1928 or 1929. 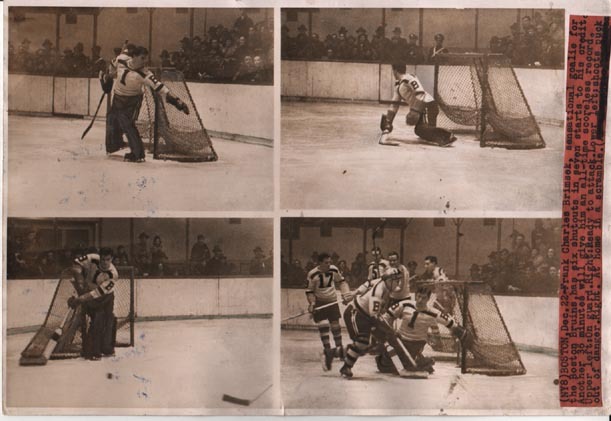 Second photo from the left: Photo of Dit Clapper; marked on the back as a 1939 cover photo. 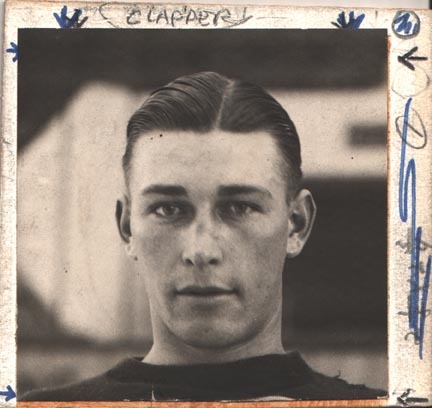 Second photo from the right: Photo of Dit Clapper; marked on the back as 1939 issue # 3 photo. 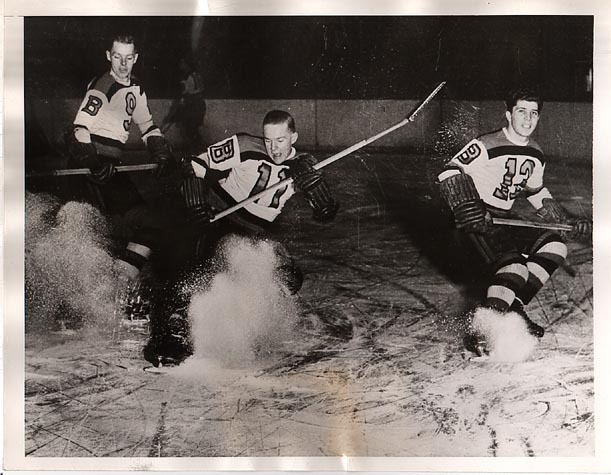 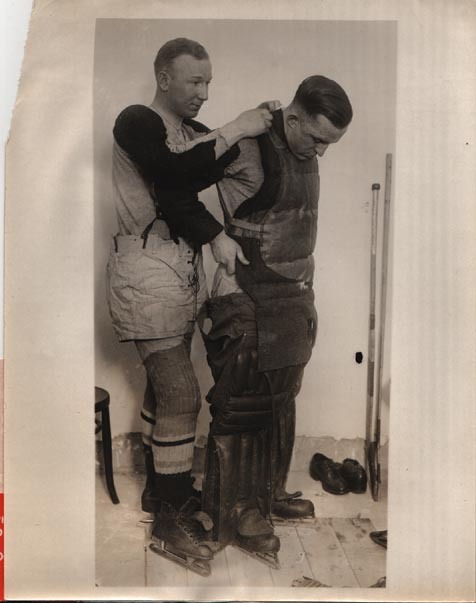 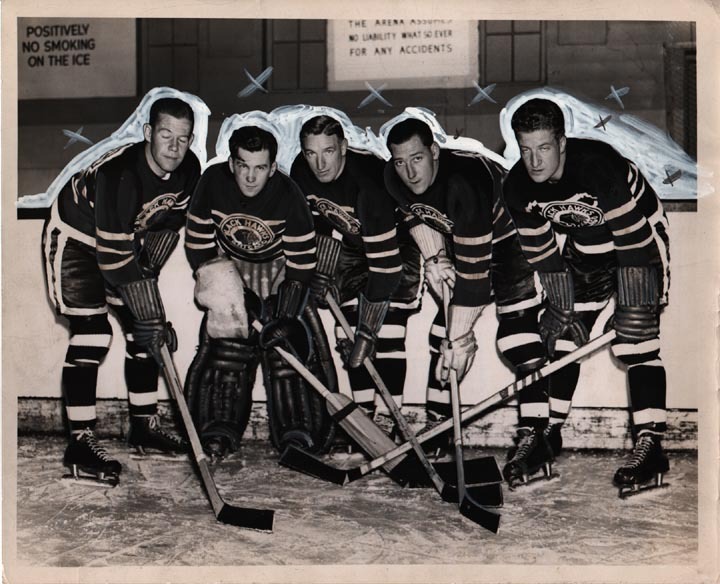 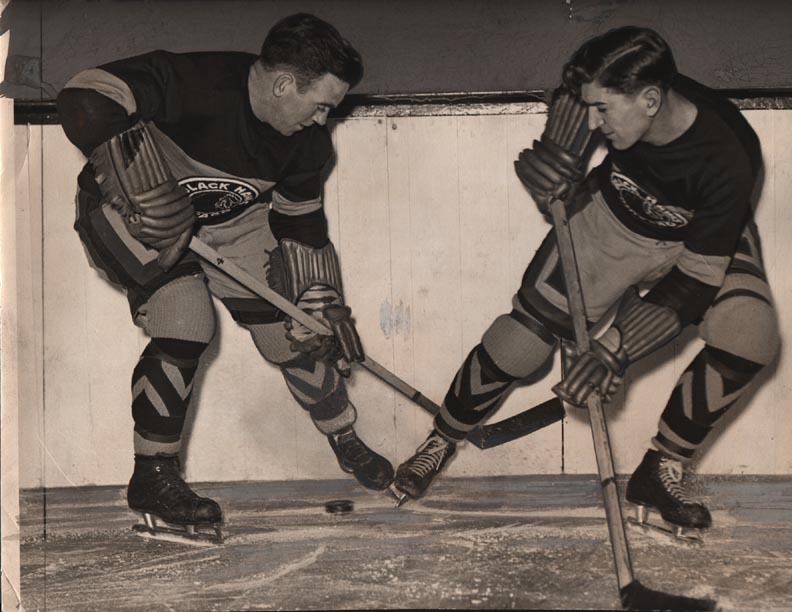 Far right photo: Photo of Frank Brimsek; marked as a 1949 guide photo.